At KILLERPETS we strive to offer some of the finest captive-bred ball pythons to the Pittsburgh area and across the country! 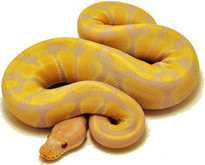 Our goal is to provide our customers with healthy, beautiful pythons of the finest quality to share, regardless if you are looking for an investment or an incredible pet. Please use the navigation bar at the top of the page to look around. You can view ourcollection, current projects and of course what we have available. If you have any questions at all regarding KillerPets.com, ball pythons, snake care, etc. feel free to utilize the contact us page and we will assist you as best we can.